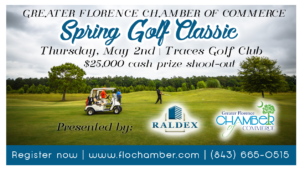 Join us for a day of golf at the Florence Chamber of Commerce’s Spring Golf Classic at the Traces Golf Club. 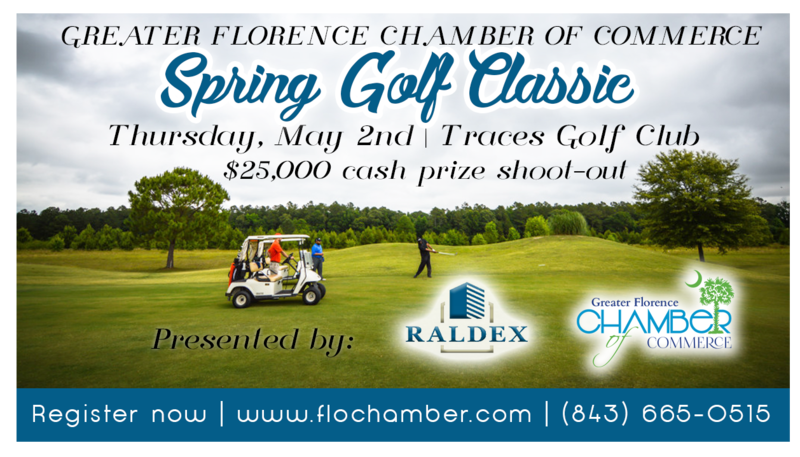 Lunch begins at 11:00 a.m. and tee off at 12:00 p.m. There will be a $25,000 cash prize shoot out contest with 4 participants chosen at random.